KABUL: President Mohammad Ashraf Ghani received a number of ground transport experts at Gul Khana Palace here yesterday, Bakhtar News Agency said. The experts expressed their views on effective traffic management and transport projects, maintenance, road surface marking and installation of address signs, asking for speeding up of their procurement processes, the agency added. 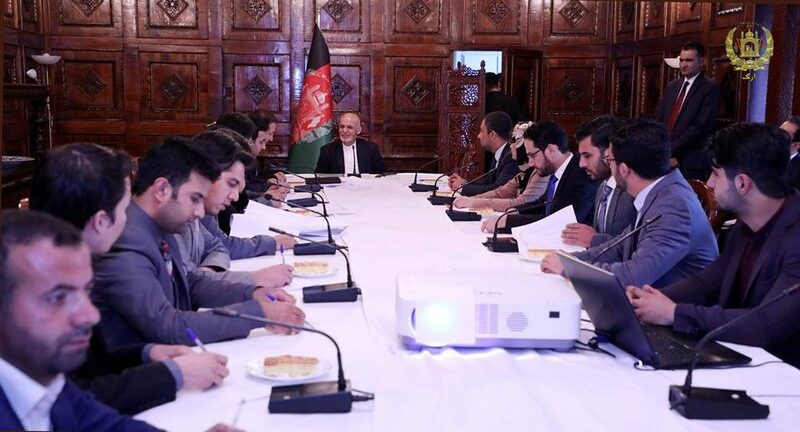 Praising ground transport experts’ views, President Ghani emphasized on establishment of special transport department within Kabul Municipality. The president also instructed the officials to work with line organs on new department’s organization chart as well as highlight the cooperation points with these organs. The president also hinted at people’s view in line with improvement of the transport situation.